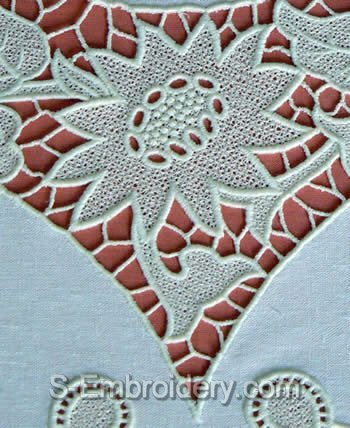 A set of 4 freestanding lace sunflower machine embroidery designs. 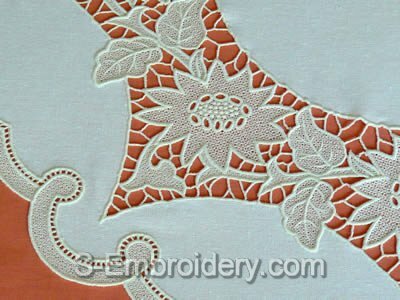 Used in combination the designs with suitable fabric will produce a nice table top with a diameter of 27.5 inches(70 cm). 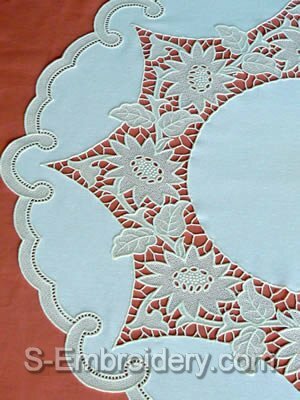 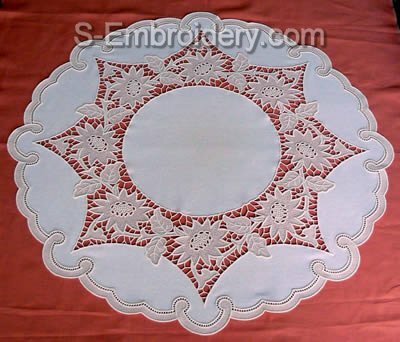 You receive 4 machine embroidery files in one of the supported formats as well as PDF files with design information and instructions for preparing the table topper featured on our web site.